Christmas is just about 1 week away! What’s on your wish list? While we’re hoping for our dream gifts, let’s not forget shopping for our family and friends! Christmas is the Time to give, but what gifts are you going to give? - The item that tops his/her wish list? Oh, wait! We want to do more than just provide you with a list of gift ideas; we want to add value to your gifts. Intrigued? Read on! *Only cash point value of cash point-items will be counted. Score-items, Gold Coin-items and Gold Voucher-items will NOT be counted. Note: All gifts you send to other players from the Online Store and in-game Mall and Item Store via in-game email will be registered by the system. 1. All gifts received from other players via in-game email will be registered by the system. 2. All gifts you send to other players from the Online Store and in-game Mall and Item Store via in-game email will be registered by the system. 3. 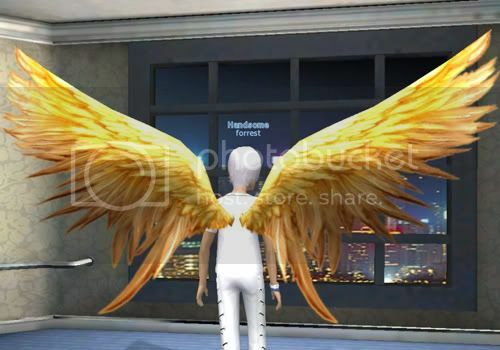 Each account holder can receive a maximum of ONE FOREVER Golden Fluttering Wings for Free. What WILL be counted in the ranking? What WILL NOT be counted in the ranking? Have a look at the Fluttering Golden Angel Wings which could be yours.